Open Avenue is a psychotherapy practice founded in 2008 that specializes in mental health services including addiction and substance abuse counseling, relationship counseling, and utilizing a strength based approach to maximize one’s emotional and mental health. The foundation of the mental health services we provide are grounded in research and evidenced based practices. That being said, we believe successful therapy is creative, collaborative, and holistic, which means we thoughtfully integrate metaphor, movement, energy, spirituality, and art into the process in order to help people achieve significant and lasting change. In addition to providing individual, group, and couples counseling, we also are committed to educating counseling students and training licensed counselors in areas of addiction, substance abuse, and art therapy. Several of our counselors are also adjunct faculty at DePaul University in the graduate counseling program and have taught courses on relationship counseling, addiction and drug abuse counseling, and group counseling. We have also held workshops at The University of Chicago (e.g. Motivational Interviewing for substance abuse counseling), Oakton community college (e.g. 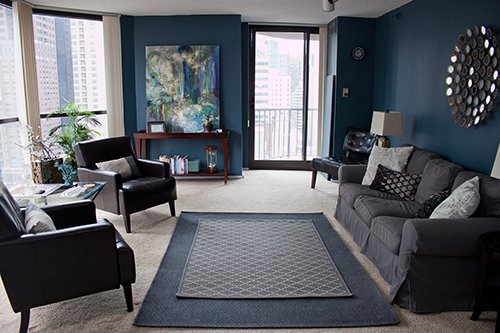 “Sexuality, Safety, and Spirituality in Psychotherapy”), and have held serveral other mental health and counseling workshops at our downtown location in Chicago.